He was born and raised in the Dallas area. At the age of 10 he went to Karachi, Pakistan to memorize the Holy Quran. He excelled in his memorization and committed the entire Quran to memory in less than 1 year. He then returned home and continued his school education. After graduating from High School, he went back to Karachi to study the Alim Course at Jamia Binoria. He graduated from the rigorous 7 year program in 2002 at the top of his class and with numerous Ijaazaat (Licenses) in various Islamic Sciences. Along with the Alim Course he concurrently completed a B.A. and M.A. in Arabic from Karachi University. He taught Arabic at the University of Texas at Arlington from 2005 to 2007. He has served as an instructor and curriculum advisor to various Islamic schools and Islamic studies programs. He served as the Imam at the Colleyville Masjid in the Dallas area for 3 years. He is also a founding member and chairman of Mansfield Islamic Center. Imam Siraj Wahhaj, currently the Imam of Masjid Al-Taqwa in Brookyn, New York, accepted Islam in 1969. He received Imam training at Ummul Qura University of Makkah in 1978 and has become a national and international speaker on Islam. 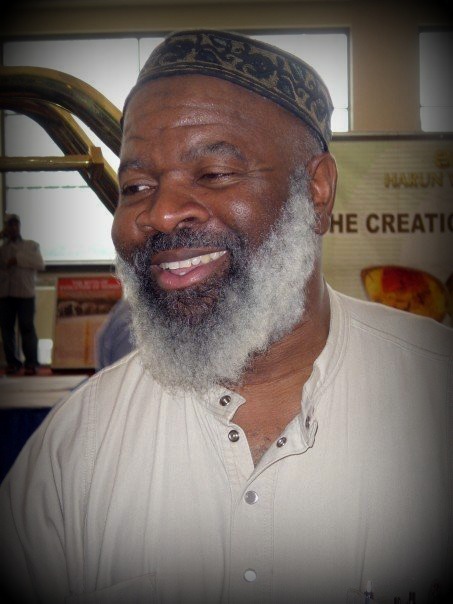 Imam Wahhaj has been Vice President of ISNA U.S. since 1997 and has served on Majlis Ash-Shura since 1987. He is a past member of ISNA’s Planning Committee and has served as a member of the Board of Advisors for NAIT from 1989-1993 and for the American Muslim Council. Among other achievements, Imam Wahhaj was the first person to give an Islamic invocation to the United States Congress. Click here to view his Facebook page. Imam Shamsi Ali is currently the Imam of the Islamic Cultural Center of New York, which is the city’s largest mosque located in 96th street and 3rd AV Manhattan. He is Chairman of the Al-Hikmah Mosque in Astoria and the Director of Jamaica Muslim Center in Queens. Imam Ali was appointed “Ambassador for Peace” by the International Religious Federation in 2002, and a recipient of the 2008 ICLI Interfaith Award. In 2006, he was named one of seven most influential religious leaders in New York City by New York Magazine. Furthermore, in 2009, Imam Ali was chosen as one of the 500 most influential Muslims in the world by the Royal Islamic Strategic Studies Center in Jordan and Georgetown University. Sr. Sana Nadim is the current Muslim Chaplain for the Stony Brook University’s Interfaith Center, the first female to ever attain such a position. She graduated at the top of her class from Baruch College. Sr. Sana has been interacting with young Muslims for a long time; recognizing the important role of the youth for the future of Islam, she heads the largest Muslim Student’s Association in the nation and continues to work towards expansion. Nadim represented the Muslim community on many stations like CNN, ABC and BBC. She was featured on Long Island’s Newsday where her accomplishments were displayed and afterwards became the host for the popular show called “Face Faith to Faith” which aired on WLIW. The prestige and respect she has built is clearly recognized by her acclaim in areas from Harvard University to the United Nations (Nadim was nominated three times for a spot on the United Nations). Sr. Sana has shown great strength and a steadfast nature when it comes to defending and improving the Ummah. Her achievements in Congress as a representative of the Muslim community, the founding of the Long Island Multi-faith forum, her role as the voice of Muslims for numerous news stations, interfaith meetings with religious and political leaders of the world and more, make her a key role model for the Muslim youth of today. Mohammed Hannini completed his High School diploma from the Islam and Science Institute in the United Arab Emirates, where he studied various Islamic subjects such as Tawheed, Fiqh, Tafseer, and Seerah. He acquired his BA from City University of New York specializing in Middle Eastern and early Islamic history, and is currently pursuing a Masters degree at American Open University (Arabic and Islamic Studies) in Islamic studies. Br. Mohammed worked as an Imam and khateeb in New York, conducting regular classes on various Islamic topics ranging from Tafseer, Hadith, contemporary issues, and the Arabic language, amongst other topics. In addition, he founded the Shari’a Academy where he taught courses in Usool-ul-Fiqh, Fiqh-ul-Ibadat, and Ilm-ul-Hadith. Br. Mohammed has written many articles on various Islamic and contemporary issues. He has lectured nationally and internationally over the past twenty five years. 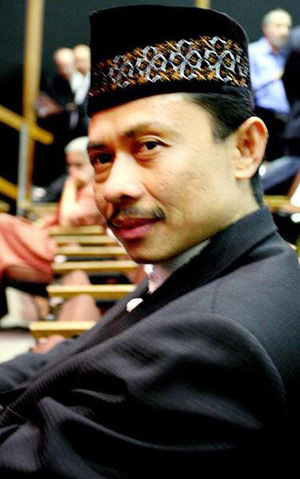 In addition, he founded the An-Nahdah Institute where he currently teaches various Islamic subjects. Mohammed Almathil was born in New York City and raised in Sana’a, Yemen. He studied Quran in a number of organizations, including Al-Jamiyyah Al-Khairiyyah for Qur’anic Studies, memorizing the entire Quran by the age of twelve. Mohammed returned to the United States and became one of the youngest reciters to lead the prayers, as well as directing programs at Masjid Al-Farouq (2002-2006), Masjid Dawoud (2007-2008), and MCC(2009-2010). He attracted the young and the old with his heart touching recitations, as well as his unique style of presenting topics. He continues to give the Friday Sermon and lectures in a number of other masajid, conferences, and gatherings. Mohammed has recited, spoken, and performed at both gatherings and conferences at a local level, and as well as a national level. In addition, Mohammed has also participated in national Qur’an competitions (Alafasy competition, Almaghrib competition, Islamic Schools, etc) and attained first place in most of them. Mohammed Almathil is currently serving as the director of the Muslim American Society (MAS) Youth Center in Brooklyn, New York. His character and leadership present him as a great example for all those who have crossed paths with him. Significantly, he has had an immense impact on the youth and the rest of the community. A recent graduate of Columbia University in New York City, Cyrus McGoldrick is the Civil Rights Manager at the NY chapter of the Council on American-Islamic Relations, and serves on the Board of Directors for Getting Out & Staying Out, a program dedicated to helping young men coming out of prison to stay out of prison. As an independent world/hip-hop musician specializing in voice, beats and live instruments (tenor sax, violin, piano), he has been performing since 2004 with various groups around the country. The Raskol now records and performs his own songs for international audiences, often with the live collective The Fuego 7tet, blending live-band reggae and jazz melodies with hip-hop lyrics, social justice and Islamic activism. He is featured on Fuego’s debut album, “The New York Chapter” (for sale on iTunes and CD Baby), and plans to record and release music consistently throughout 2012 and beyond, insha’Allah (God-willing). Cyrus is a voice calling for Islam, human rights and cultural understanding, performing and speaking for hundreds of concerts, rallies, panels and workshops in the past year. Both a subject and commentator for local, national and international media, he has been featured or otherwise mentioned on CNN, BBC, Al Jazeera, NBC, ABC, NPR, and countless other television, radio, print and online outlets around the world.